Delicious. Sustainable. Fun. 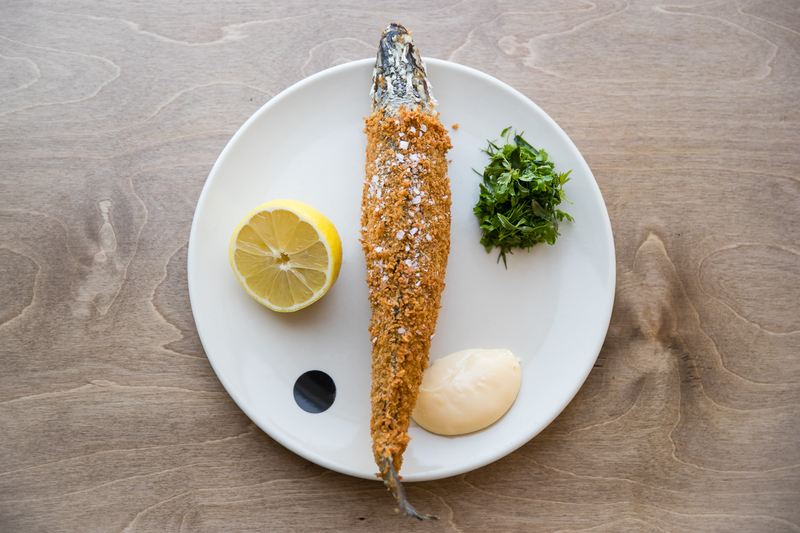 This smart-casual Sydney diner is a blueprint for fish restaurants of the future. You might want to sit down for the next few sentences. They may sting a little, at least if you like seafood. According to the United Nations’ Food and Agriculture Organisation, global per capita fish consumption rose to more than 20 kilograms a year for the first time in 2016. In 2013, of the commercial wild fish stocks regularly monitored by the organisation, more than 30 per cent were overfished. The world's appetite for low-cost seafood has led to the creation of so-called super trawlers, “giant ocean vacuum cleaners” that fish in “grey waters” around the world. A report from Frontiers in Marine Science estimates that illegal, unreported and unregulated fishing in West African countries costs those countries around $3 billion a year, and how do you quantify the social and cultural cost associated with the collapse of coastal fishing communities in developing nations? Saint Peter, a small sandstone-walled restaurant in Sydney's Paddington, doesn’t have the answers to these issues. 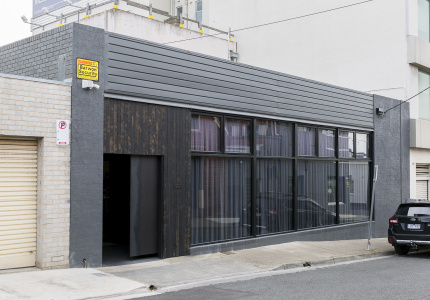 But its modus operandi – only using responsibly caught Australian fish and writing a new menu each day based on what’s available at the Sydney Fish Markets that morning – is an attractive blueprint for contemporary restaurants. Thankfully, it’s not just dogmas at 10 paces. 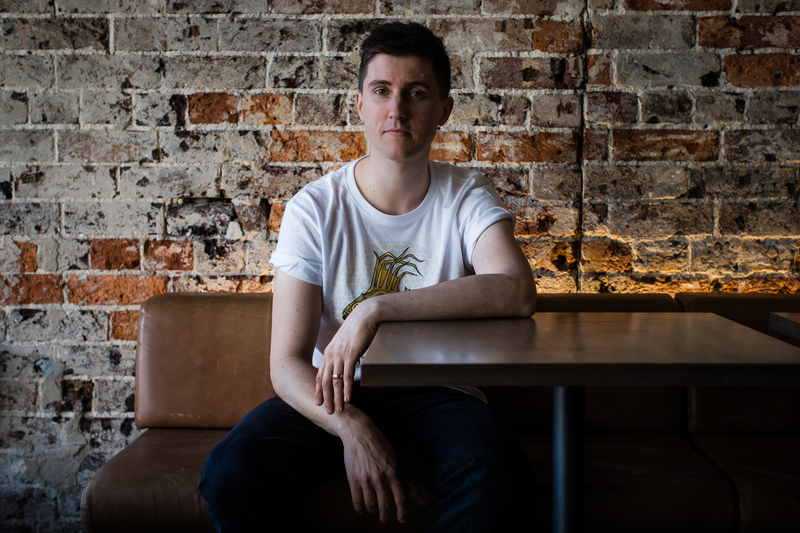 Chef Josh Niland – he and wife/fellow chef Julie own the restaurant – possesses an X-Men-like knack for taking seafood and knowing how to transform it into the most delicious version of itself. 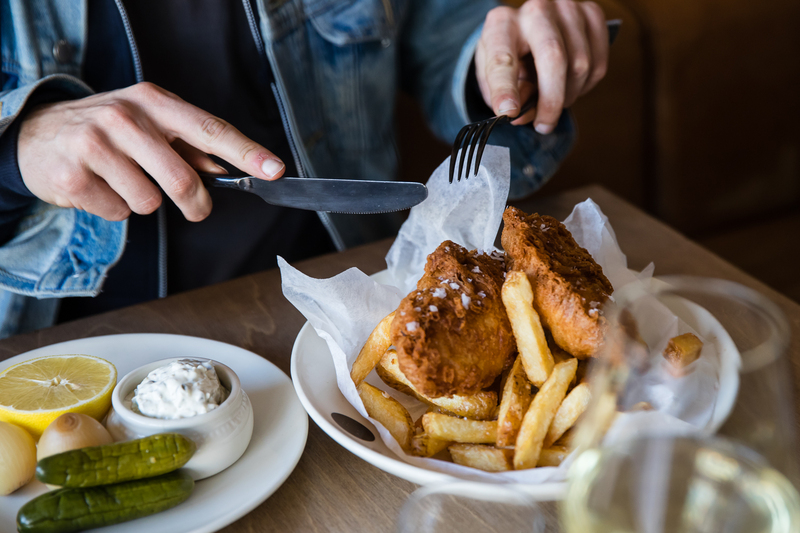 Even better, they can surprise and thrill diners while avoiding the overfished, endangered – and very often expensive – fish species that other chefs often reach for. About that albacore. To quote the excellent Australian Fish & Seafood Cookbook (a must have for anyone with an interest in sharpening their fish know-how), this pale fleshed member of the tuna family is “sometimes known as white tuna or chicken of the sea ... has been much maligned in Australia over the years”. Along comes Niland, a blue-sky thinker who gets ahold of a top-notch specimen from Bermagui on the southern coast of New South Wales, cleans it up, stashes the body in the restaurant’s custom-made ageing fridge for 15 days till it goes firm and savoury, then casts the faintly mushroom-y flesh as the star of a steak tartare analogue, complete with add-it-yourself condiments. It’s smart. It’s resourceful. It’s delicious. It’s the brilliance of Saint Peter in a single, yolk-topped dish. A dish, it’s worth mentioning, made using the same fish found in lunchtime-friendly tins of tuna the world over. Niland in Saint Peter's fish-ageing fridge. Not everything is a two-week production. Niland and his kitchen are just as capable of taking dazzlingly fresh sardines from Lakes Entrance in Victoria, cleaning, beheading and trimming them up then simply dressing the raw, shiny bodies with very good olive oil. A short spell under the heat lamps brings the fish to temperature and accentuates its latent oiliness, enjoyed alongside superbly dense rye and barley flour sourdough spread with pale cultured butter. It’s a win for the simpler things. Equally unfussed is the kitchen’s handling of Wollongong bugs (slipper or shovel-nosed lobsters), the Jurassic-era crustaceans split, grilled over coals on a hibachi and served with a bright cocktail sauce and top-coat of fried breadcrumbs. 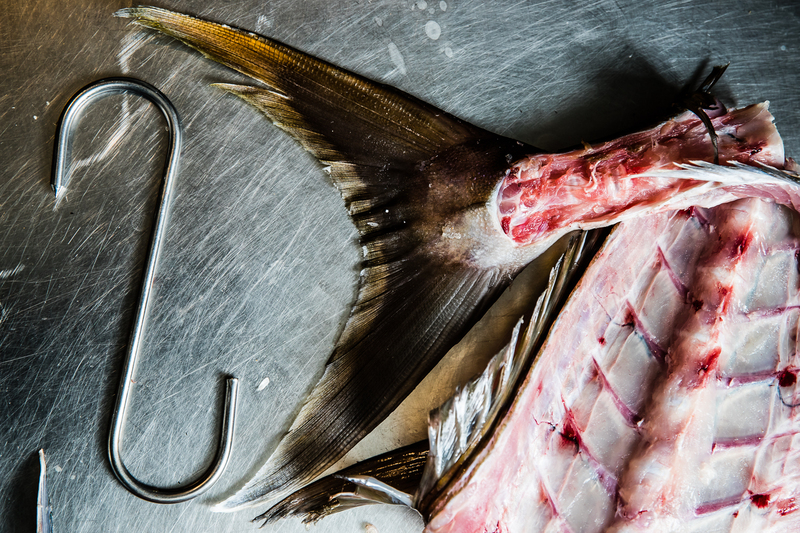 But regardless of the amount of technique involved with each item, a common thread ties the entire menu: the fish has to be the star of each dish. And so it is with Ulludulla blue mackerel, another member of the same oily fish caste the aforementioned sardines belong to (fun fact: in Japan, these fish are known as hikari-mono, literally “shiny thing”, and are, to Japanese food connoisseurs, a more accurate measure of a sushi chef’s prowess than what she or he might do with easy wins such as unctuous tuna belly or creamy sea urchin). The fish – grilled, head on, skeleton removed – is splayed across a plate and doused with a sweet and sour dressing of, among other things, vinegar, currants and slow-cooked shallots. The result is an unapologetic celebration of mackerel-kind’s intense and at times challenging fish flavour. Some will love it. Others won’t. 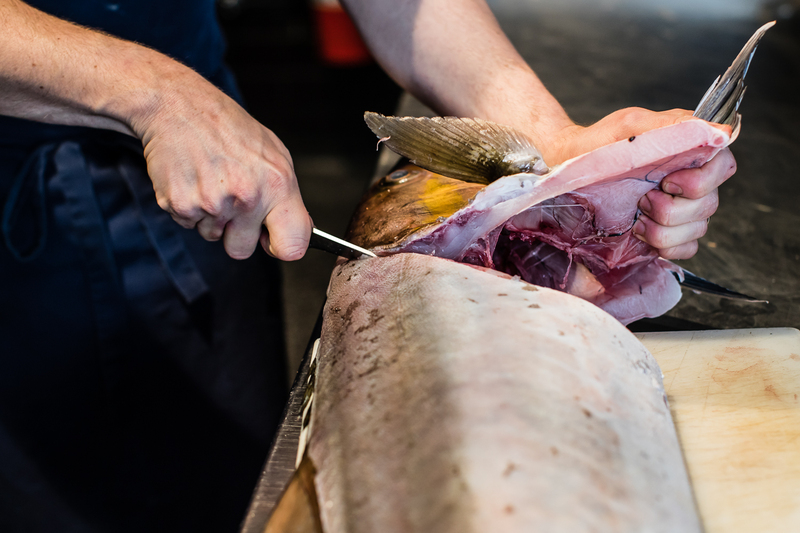 Wild-caught kingfish from Terrigal on the New South Wales central coast materialises as two precision-cut tranches of fish, the crisp swatch of skin atop each piece a crunchy counterpoint to the meaty, toothsome flesh. By now, you’ve probably noticed that every piece of seafood comes with a postcode. It’d be easy to write this off as some sort of cynical marketing ploy, but for Niland, knowing the who-what-where-when of every fish that comes into his kitchen is as much about the pursuit of flavour as it is doing the right thing by the oceans and those making a (responsible) living off them. Niland with Saint Peter's seafood buyer, Tony Wearne. The fish that Niland sources – and, more importantly, doesn’t source – is just one part of the sustainability focus. The other is what the kitchen does with it, in particular, its off-cuts. 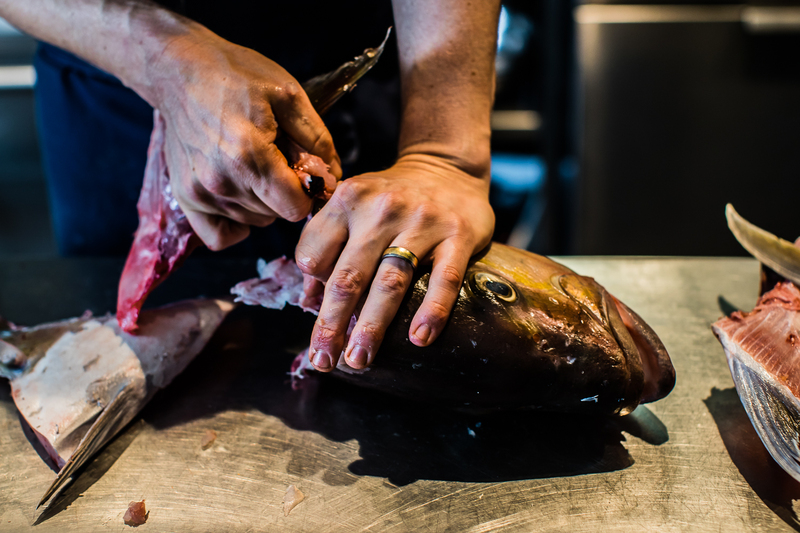 As anyone who follows Niland on Instagram will attest, our man is a dab hand at cutting fish. At almost any given time, Niland’s story or live video will feature footage of him breaking down a fish Dexter-style into fillets and B-sides. As is the norm in any profitable kitchen, this resourcefulness is primarily about maximising the return on every ingredient in your pantry, but here it’s also the catalyst for creative seafood cooking that’s as frugal as it is delicious. Hapuka liver toasts taste like fishy foie gras (sans, of course, the guilt that comes with eating the livers of force-fed poultry). Thick slices of terrine starring grouper head meat are suspended in seafood aspic. Fish eyes get reincarnated as grey, wispy crackers: the perfect two-bite chariots for a daub of excellent smoked eel brandade. It’s not all edible lessons in fish anatomy. St Peter’s upcycling is often sly and invisible. Perhaps Niland and Co will mix the hapuka’s roe with mushroom to make a saucy accompaniment to its meaty white flesh. Or maybe they’ll smoke and roast fish bones and grind them into a powder whose life’s work is to fortify dishes with a deep oceanic savour. Other times they’ll, for want of a better word, Saint Peter-ise the familiar, be it Yorkshire puddings baked with rendered barramundi fat rather than suet, or “bacon” made from the fatty belly of cobia fish. Speaking of brunch, Saint Peter is a weekend destination absolutely worth dusting off your finest Lululemon for. Whereas garden-variety cafes continue to play it safe with smashed avo, fried-chicken waffles and their populist ilk, Saint Peter applies the same rigorous thinking to its daytime menu as it does its after-dark carte. Scrambled eggs might come studded with yabbies; English muffins cradle a fried egg and the aforementioned cobia bacon; and crustless white sandwiches freight crumbed calamari and turmeric-stained pickles, a signature move of San Francisco’s legendary Zuni Café. The late Judy Rogers, Zuni’s beloved matriarch, is one of the many chefs Niland draws influence from. 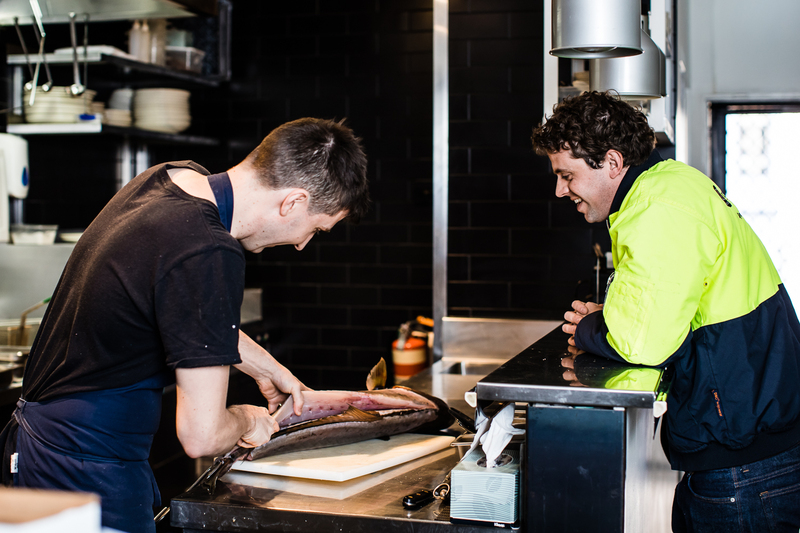 While he counts Luke Mangan, Quay's Peter Gilmore and Est doyenne Peter Doyle among his previous mentors, it’s Niland’s time at Stephen Hodges’s seafood-centric Fish Face that he speaks fondest of. Other non-Australian chefs also feature in the Nilands’ story, although not always in obvious ways. The couple’s four-month “working honeymoon” at Heston Blumenthal’s The Fat Duck, for instance, isn’t referenced by levitating squid rings or guests being presented with iPods preloaded with classic Australian sea shanties, but rather in the superb crunch and shatter of Saint Peter’s deeply tanned fish and chips. Turns out that adding beer and a slug of vodka – a little hack he picked up during his time in Bray’s most famous kitchen – renders batter extra-crisp as the alcohol burns off. Made using pink ling and served with a yoghurt- rather than mayonnaise-based tartare sauce and properly brilliant skin-on, just-waxy-enough chips, it’s a fish meal that absolutely deserves white plates and good cutlery. Still, with every forkful of juicy fish, I couldn’t help fantasise about eating the dish somewhere I could feel sand between my toes, hear and smell the ocean and discreetly steal mouthfuls of chilled riesling from a thermos. And in the spirit of thinking really big, I’d bring along a friend and pack the restaurant’s whiting kiev – a carefully deboned whole fish stuffed with garlic butter that’s crumbed and fried like history’s greatest seafood crumbed sausage – and have a beachside picnic for the ages. 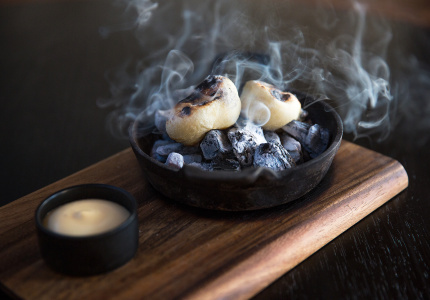 The dessert menu doesn’t chop and change as frequently as the savouries – there are just two options – but the kitchen makes each one count. 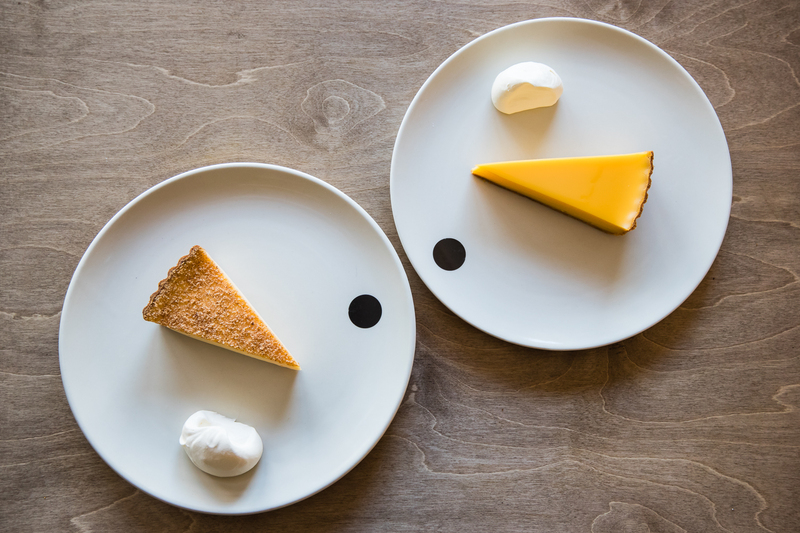 The first is a benchmark-worthy citrus tart zinging with lemon and passionfruit. Vivid in colour and taste (the trick to making a great curd, Niland tells us, is to rub the lemon zest with the sugar before creaming with the butter: take note, home bakers), it’s a wonderful reminder why the classics are so revered. The other option, at least when Broadsheet last visited, is a just-set chocolate custard mounted on a chocolate biccie and topped with ruffles of thinly sliced pear and a Jerusalem artichoke caramel the texture of Fantales. It is, by miles, the “cheffiest” dish at Saint Peter, but it still hits square between the eyes as far as flavour goes. 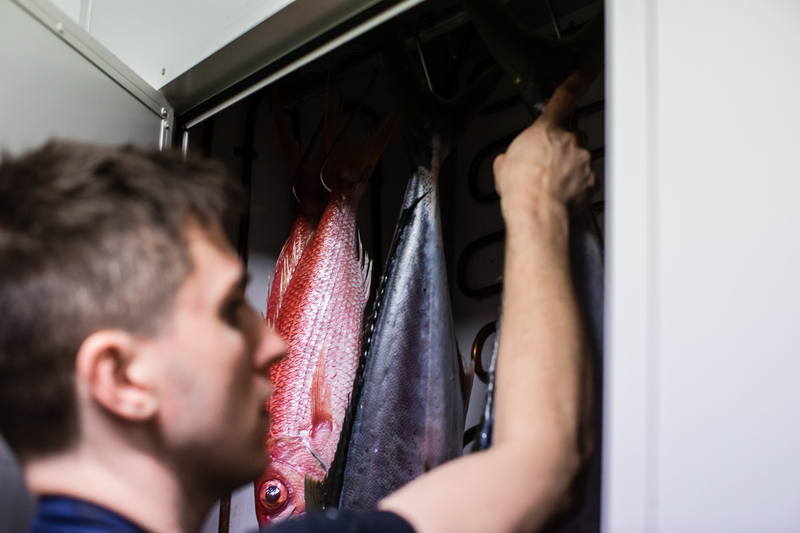 Service under restaurant manager Wimmy Winkler and her team is similarly sweet, not least because the kitchen’s enthusiasm for seafood seems to have rubbed off on the front-of-house, too. They’ll answer questions about the fish, where it’s from and how it’s been cooked all in the same breath as suggesting what you might like to drink from the tightly edited, all-Australian booze list. (Like the kitchen’s local-only seafood policy, the Nilands are similarly passionate about celebrating local vignerons and brewers, too). Well-handled, responsibly caught seafood isn’t cheap. Nor should it be. Saint Peter isn’t exactly cheap eats territory, but when you consider what you get on the plate and the attention that’s been paid to your dinner from the hook to the cook, there’s value here. 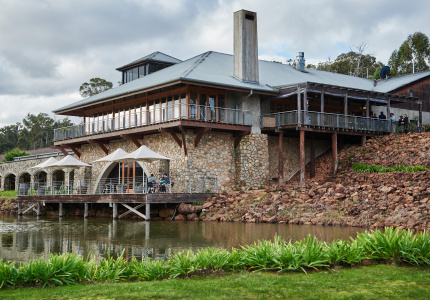 If you were to look at the wide-ranging spread of diners populating the squeezy dining room at any given time – off-duty chefs; suits making merry at a Friday long lunch; clued-up eaters getting stuck into what has to be one of the best fish and chip examples in the country – it would appear the Nilands have plenty of supporters. The issue of how to feed a growing global population sustainably and deliciously is a complex one. It’s also one in which all eaters, like it or not, are invested. 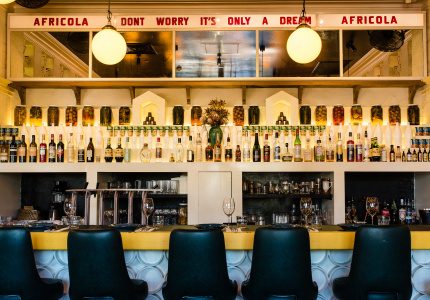 In Saint Peter, we have a restaurant that proves that both needn’t be mutually exclusive. The restaurant is just about to celebrate its first birthday, no mean feat for a family-run business opened on a shoestring-fry budget in a part of town not wanting for dining options. While Niland is relieved to have gotten to the one-year mark (relatively) unscathed, he’s also aware now’s not the time for complacency. “The next 12 months will be the first 12 months,” he tells me. “I think we’ve struck on something that’s been missing in the Sydney market.” And while he hints at plans for expansion in future, right now, it’s very much business as usual in Paddington. You’re not the only one who thinks so, Mr Niland.